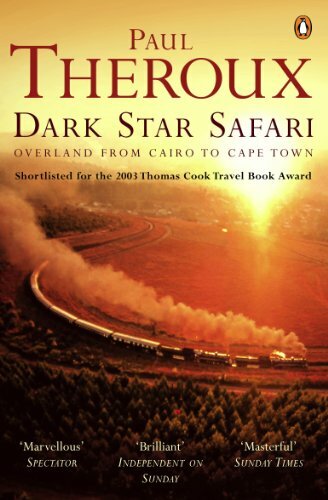 Dark Star Safari is Paul Theroux's now classic account of a journey from Cairo to Cape Town. Travelling across bush and desert, down rivers and across lakes, and through country after country, Theroux visits some of the most beautiful landscapes on earth, and some of the most dangerous. It is a journey of discovery and of rediscovery -- of the unknown and the unexpected, but also of people and places he knew as a young and optimistic teacher forty years before. Safari in Swahili simply means "journey", and this is the ultimate safari. It is Theroux in his element -- a trip where chance encounter is everything, where departure and arrival times are an irrelevance, and where contentment can be found balancing on the top of a truck in the middle of nowhere. Paul Theroux's books include Dark Star Safari, Ghost Train to the Eastern Star, Riding the Iron Rooster, The Great Railway Bazaar, The Elephanta Suite, A Dead Hand, The Tao of Travel and The Lower River. The Mosquito Coast and Dr Slaughter have both been made into successful films. Paul Theroux divides his time between Cape Cod and the Hawaiian islands. "If you appreciate a fine writer in bis finest form, if you are curious about Africa, if you delight in eccentricity, make the trek with Theroux." Paul Theroux sets off for Cape Town from Cairo - the hard way. Traveling across bush and desert, down rivers and across lakes, and through country after country, Theroux visits some of the most beautiful landscapes on earth, and some of the most dangerous. It is a journey of discovery and of rediscovery - of the unknown and the unexpected, but also of people and places he knew as a young and optimistic teacher forty years before. Safari in Swahili simply means 'journey', and this is the ultimate safari. It is Theroux in his element - a trip where chance encounter is everything, where departure and arrival times are an irrelevance, and where contentment can be found balancing on the top of a truck in the middle of nowhere.